Even though a moving process can take a lot of time and gives you a headache, it is something that has to be done. However, if you decide to move to Hamilton with your family, there will be plenty of activities that you can do. After the exhausting move, most of the people want to go out, explore their new area, meet neighbors but also, to spend some good family time in Hamilton. 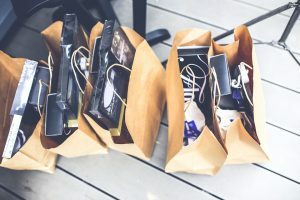 You will definitely go shopping after the move! Whether you are making a short or long-distance move, you will need help from a professional mover. You will be ready to spend family time in Hamilton shortly after the move if you hire a professional mover. A professional moving company will pack, load and relocate your belongings fast and safely. Also, your mover will provide a lot of Hamilton moving services for your move. Hiring a professional moving company will save a lot of your time. However, a moving process won’t be cheap and depends on the amount of the moving services you need. Let’s not forget that almost every professional moving company gives discounts occasionally so you should ask about that when you decide to hire a professional mover. Also, in order to save some money, you should hire a professional mover during the off-peak days. Movers are in high demand during the summer and on weekends. If you want to spend some family time in Hamilton, you should visit the legendary Navy ship also known as the destroyer. The destroyer was used in the Second World War, the Korean War, and the Cold War but nowadays it’s renovated and designed to be a museum ship. You can go and spend time with your family there or get guided tours if you want to know more about the destroyer and hear some nice stories. 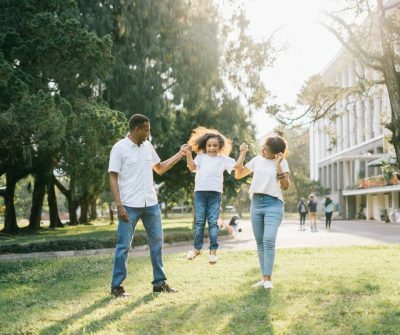 In addition, if your kids are old enough and ready to go to college, you should search for the best student cities in Canada! Another place you should visit if you want to spend family time in Hamilton is African Lion Safari. It’s located just outside of the city limits and it is one of the most popular attractions in Hamilton. This wonderful zoo lays on a 300 hectares area and it has over 1000 animals that roam around freely. Over 100 different mammals and bird species live here, from all around the world. Don’t miss it, your children will love it! 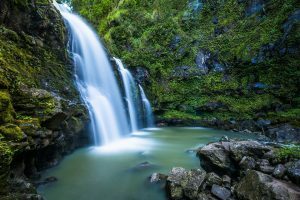 Hamilton is also known as The City of Waterfalls because there are more than 100 that you can see in Niagara Escarpment. Most of those waterfalls are accessible to you because of the famous Bruce Trail. The most famous waterfall is 30 meters wide Webster’s Falls. Other famous waterfalls are: the 21 meters ribbon waterfall Tiffany Falls, 19 meters Albion Falls and one of the tallest ones in the area, Devil’s Punch Bowl! There are more than 100 waterfalls in Niagara Escarpment. If you are a football fan, visit the Canadian Football Hall of fame! The Hall is opened for the first time in 1972 in downtown Hamilton. Since then, it’s been growing to become what it is today. Hall is filled with items and information that highlights the best players and anything connected to the sport. Also, the Hall has all the information about junior and university football leagues over the years. The third largest art gallery in the country is the public Art Gallery of Hamilton and it’s located in the heart of Downtown Hamilton. It’s a wonderful gallery that has over 10 000 works of art. This gallery has over 300 thousand visitors per year who want to see and enjoy listening about Canadian and European history and art. In addition, if you are visiting Hamilton, check on things you should know about Hamilton transportation! One of the best ways to spend family time in Hamilton is to visit one of the festivals over the year. The most famous one is “Festival of Friends”, a huge music festival that attracts a lot of people from all over the world. If you are a Golf lover, you will find plenty of public golf courses in Hamilton. The most popular public one is Chedoke Beddoe Golf Course that hosted a lot of local tournaments. However, there is also Hamilton Golf & Country Club that hosted a Canadian open. But, if you want to set a foot in this place, you will have to be a member or know some of the members. You should definitely visit Gage Park, the largest historical park in the center of the city. The park hosts a lot of events and festivals and it is also home to Hamilton Children’s Museum. However, if you want to spend family time in Hamilton, you can go to the park and enjoy a picnic! Visit Gage Park, the largest historical park in Hamilton. Hamilton is a great place to go shopping, and it has a few shopping districts. The most interesting one is Ottawa district also known as Fabric & Textile District. If you want to shop in local boutiques head to the Westdale Village. Jackson Square Mall and Lime Ridge Mall are the largest indoor malls and have over 200 shops. However, after a long day of walking, shopping and exploring the area, you should head to some of the tasty restaurants that you must visit in Hamilton. Those were the things you should do in order to spend quality family time in Hamilton! But, that’s not all! Keep exploring and you will find a lot of nice places and things that you can enjoy on your family weekends! Good luck and have fun!